Your windshield provides significant structural support for your vehicle in addition to the clear visibility it offers in a wide range of weather conditions. If this vital component of your car, truck or SUV becomes damaged, scheduling a Houston windshield replacement as soon as possible can help you to maintain greater safety on the road. Choosing a company that employs certified glass technicians can give you greater confidence when repairing or replacing your Houston auto glass. Here are some facts you should know about auto glass certification in the state of Texas. The Auto Glass Safety Council offers ongoing training and certification options for technicians. 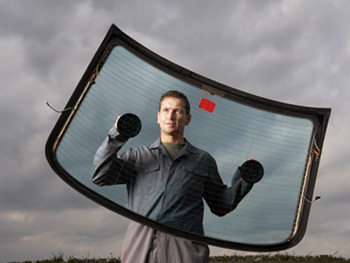 The General Auto Glass Technician qualification requires successful completion of a 70-question online examination that covers OSHA regulations, glass replacement techniques and repair competencies. Technicians who have completed three or more years of experience in the auto glass industry and hold a current General Auto Glass Technician qualification can apply for the status of Master Certification Technician by completing a more advanced online examination. The Independent Glass Association offers a 10-module certification course for technicians with six or more months of experience in the industry. The National Glass Association offers two certification examinations for auto glass technicians. The Certified Auto Glass Technician exam is available to technicians who have worked for six or more months in the auto glass industry. Technicians with three or more years of experience are eligible to take the Certified Master Auto Glass Technician examination. Certification by one of these three accredited organizations is a good indicator that your technician has the expertise in auto glass Houston motorists need to ensure greater safety on the road. 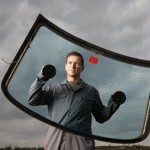 Improper installation or repair of your windshield can result in serious risks to your safety. Working with a certified Houston auto glass technician is the most practical way to ensure that your windshield meets all applicable safety standards and that you and your passengers are safe on Texas streets and highways. The ongoing educational opportunities available to certified auto glass technicians can also help you to enjoy the most advanced solutions for all your repair and replacement needs. At Apple Glass, we are proud to employ certified glass technicians with the knowledge and expertise needed to get the job done right the first time. We maintain brick-and-mortar offices in both The Woodlands and Houston and can even come to you to provide you with mobile windshield repair and replacement services at a location you choose. To learn more about our full lineup of Houston windshield repair and replacement services, call us today at 713-680-1400 in Houston or 281-296-0600 in The Woodlands. We look forward to the chance to serve your auto glass needs. This entry was posted in Certified Auto Glass Technicians and tagged Auto Glass Houston, Houston Auto Glass, Houston Windshield Replacement. Bookmark the permalink.